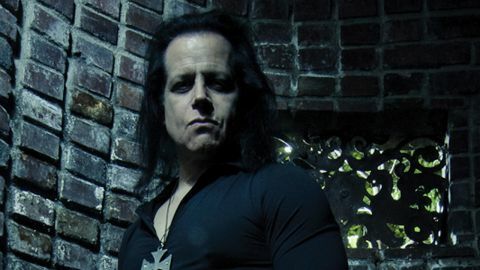 Hot on the heels of last year’s feverishly celebrated Misfits reunion, Glenn Danzig returns with his first album of all-new material in seven years. 2015 saw him stumble into self-parodic territory with his grimace-inducing covers collection, Skeletons. With Black Laden Crown, however, Danzig has somewhat righted the ship, revisiting his nightmarish alternate reality of 50s drag strip depravity and all of the devils, darkness and death a goth could ever want. Sonically, the material showcases his trademark low-fi production and the compositional familiarity of classic rock structures, fitted up with Tommy Victor’s snarling riffs and the four-on-the-floor stomp of drummer Joey Castillo. This works really well on hard-grooving tracks like Devil On Hwy 9 and standout track Blackness Falls. The vocals are pulled way front in the mix, which is either a boon or a drag, depending on your fondness for Danzig’s portentous, Jim Morrison-fronting-Black Sabbath croon. Stacked almost entirely with brooding, mid-tempo rockers like the cartoonishly morose Last Ride, Black Laden Crown offers scant variety, but his fans will be more than OK with that. Bottom line: if you don’t get him now, this won’t change your mind, but Danzig’s diehard fanbase will freak all the way out.